Language and communication is at the heart of the individual experience. Due to the development of market as well as increased travel opportunities, we must prepare students. They must be well-equipped with linguistically and culturally in order to have successful communication skills that helps them to work in corporate society as well as abroad. Learning French language will facilitate people in developing their personality as well as in grabbing diverse job opportunities. We Foreignclasses.com are the best web portal from where people can find the best French Institute in Jaipur to learn this language. French language represents cultural and historical heritage of France. With unfathomable historical roots in the United States, America and the Caribbean, French is also a local language. French is the language of worldwide diplomacy, a global business language as well as one of the top internet languages that bring out the growing importance of French. In immersion programs, French language is now also studied as a heritage and the business language. Developing on this traditional foundation, the modern imperatives for learning this language are numerous like culture, career and the global citizenship. It is one of the six official languages of United Nations. French is the Romance language that speaks by around 354 million people. French is the third widely spoken language in Europe after English as well as German. It is also spoken in diverse parts of the world such as Africa, Asia, North America as well as South America. It was expected to have around 75 to 110 million native speakers and 190 million secondary speakers of this language. This language ranked as the third most important language for the business world, after English and Standard Mandarin Chinese. French is the highly demanded language for British business. France is the highly visited country all over the world and it is the world’s most innovative countries. French is the second most widely studied language all around world, after only English. This language is spoken in each and every continent, with around 220 million speakers. It is the fourth widely spoken language in the United States. In addition to this, it is highly spoken language, after English and Spanish. France is one of the world’s highest economies. It is one of the most significant trading partners of the United States. Basis on Nineteen percent of the global trade in goods, French language spoken countries are the significant world economic factor. Therefore, French is the widely spoken business language and the knowledge of this language helps in lead to career opportunities. If you want to learn the French language, then French Classes in New Delhi is the best place to come. Here you get the best training in French language at highly competitive prices within the scheduled time span. 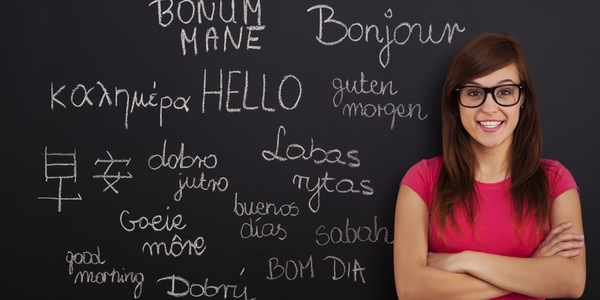 French is the third most beneficial language that used in international business. Knowledge of this language can enhance your careers in the language-services sector whose worth is more than $25 billion per year.